The LeEco Super3 X55 Super TV is a 55inch Smart TV which is meant to break some good sales record online. It’s a smart TV with a perfect blend of modern technology and modern art. The aluminum alloy base makes the product stylish and sleek. With a narrow bezel of 6.9mm, Super3 X55 comes with a thin and light design of 15.5mm. Users can enjoy 4K and 1080p quality in the form of a perfect movie viewing experience. The LeEco Super3 X55 SuperTV has a low latency process that makes sure the time between a frame being captured and the time it’s displayed is virtually non-existent. This allows for real-time interaction with your video content, quite important for video conferencing, or live sports for example. PPDO or Periodic Pattern Detail Optimization ensures users can see even the finest of details, making the TV experience fully immersive. The Super TV is powered by MSD 6A928 featuring CPU: Cortex A72*4(1.4 GHz) and GPU: Mali – T760MP4*4, that provides for an advanced computing ability and a high processing rate. It promises a smooth delivery of stunning graphics, superior quality and strong multitasking ability without compromising on power consumption. This is accompanied by a GPU that reaches up to 326G flops and triangle output rate of 1.39 billion/s. LeEco Super3 X55 offers a high-speed RAM of 2GB DDR3, and a ROM of 8GB eMMC Flash is inbuilt for a good performance. The 4K hardware decoder for HEVC/H.265 videos at 60fps has the latest top 4KTV chip MStar 6A928 which accounts for a luxurious combination for an extraordinary viewing experience. Offering a booming audio quality, the Super TV is equipped with Dolby Digital Plus, and DTS-DH premium sound technologies. LeEco Super3 X55 has three HDMI 2.0 inputs that support data transfer bandwidth of up to 18 GB and accepts 4K UHD signals at up to 60fps for smoother motion. The USB 3.0 x 2 and USB 2.0 x 1 ports are compatible with a variety of devices allowing users to connect it easily with cable boxes and the game lovers with consoles. Extremely easy to use, the Super3 X55 is powered by the fast Android-based operating system and the LeEcosystem EUI offering a live broadcast of multiple contents with the comfort of clear EPG program instructions. In a bid to achieve faster WiFi performance, LeEco Super3 X55 is bundled with the dual band 802.11 ac WiFi standard. It supports both 2.4 GHz and 5 GHz which features Mu-MIMO technology and offers up to 866 Mbps of wireless connection, with a promise of less interference from other devices. Wih highly compatible BLE 4.0 technology, this LeEco screen actually realizes long-range wireless control. 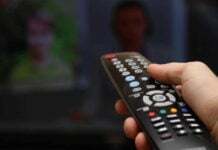 By connecting a Bluetooth earphone, or a console, users can seamlessly watch television and play video games without disturbing their family or neighbors. Backed by the handiest and smartest remote on the market – Super Remote 3, that allows easy access to the four-direction navigation buttons. This gyro sensor remote can also be used as an air mouse or gamepad to control multiple devices connected to the TV screen for a super experience. Summary: The LeEco Super3 X55 Super TV is a 55inch Smart TV which is meant to broke some good sales record online. It’s a smart TV with a perfect blend of modern technology and modern art. 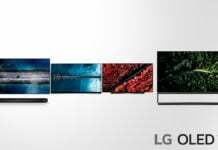 How LG OLED TVs Are Bringing A Revolution To The Television Market? am interested to buy. But wld like to know What is the refresh rate and aspect ratio of leEco super3x55. Refresh rate is 60 Hz and aspect ratio is not fixed. Aspect ratio I am sure is dependent on input signal, so it is better this way. What is the level of after sales service of LeEco in India. Hope it doesnt become another VU of Indian Market. Till now I haven’t heard any noticeable negative feedback for after sales service of LeEco. And obviously no company can satisfy each customer of them. I have purchased and using it for the last 10 days.But it gets heated up very quickly.Is it the problem of my set only and any specific fault? I have purchased and using for 10 days. But received 48″ instead of 55″. When I asked for replacement they have rejected my complaint & saying it cannot be replaced or exchanged. So be careful about the size. And also it gets heated up very quickly. Hai I am kasturi again, sorry state that, on my early review i have placed that I received 48″ instead of 55″. But actually it should be measured diagnoly instead of LxB. Hence what I measured is wrong. But actually I have received 55″ measured diagnoly. 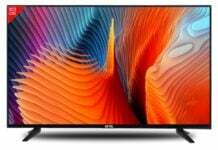 Thanks for LE TV for offering such a wonderful TV at affordable prices. It is very less compared to LG, SAMSUNG & SONY. Picture, colour sound etc. are excellent. But the TV gets heated up very quickly. Other than that every thing excellent. Thanks once again for LE TV. It has a very large amount of backlight bleeding which makes dark scenes look terrible. The panel gets heated up very fast and the heating is abnormal. 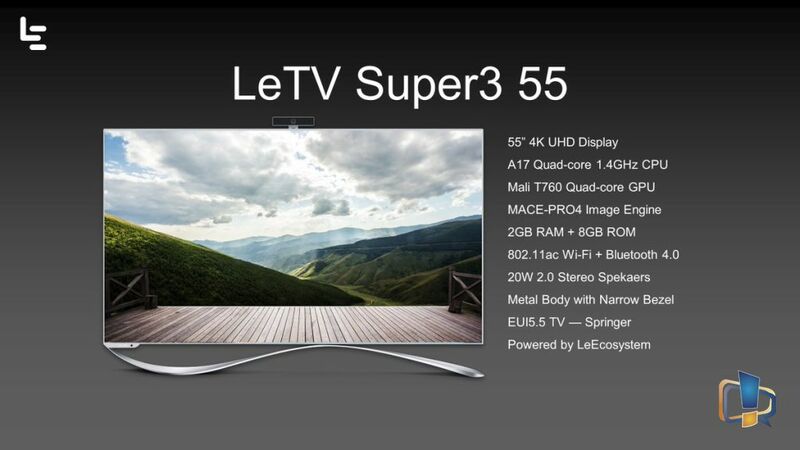 Sir You have given good details about Leeco Super x55 TV. Sir If you clarify following point, it will be great helpful to us for finalizing the TV. 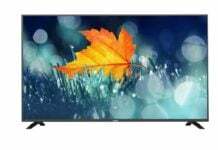 1) Why power consumption of this TV is 180W , Where as similar size other brand TV has 110-130 W ? 2) Why the base weight(Without stand) is 21 kg compare to similar size other brand TV having 11-14 kg ? 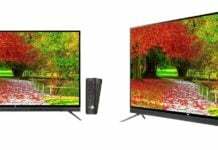 3) whether with refresh rate of 60 Hz, can one able to watch 4K tv particularly sports channel ? 1. Cannot comment on that as I don’t have any idea of that. 3. Refresh rate should not be a problem. It matters more when you play graphic intensive, high processing games. 1. They have dumped outdated model from China. LeEco has much nicer and cheap models launched in China. I hate it when foreign companies use India to dump their stale, outdated poo poo at double the price. 2. UHD @ 60HZ. Forget about action movies and moving scenes. 3. No HDR. To get most of UHD, HDR is highly recommended. 4. Heavy TV, gets abnormally hot… risks the panel life !!! Have you used the TV? 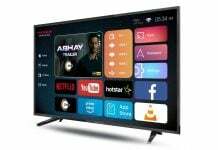 Tv is Awesome from last one month I am using it ..
Sir, I have 55″ TV and two days back something went wrong and the power drips as soon as i switch on the TV power. This happens only when i switch TV power and i have tested with other power points in our home. Is there service centre in India who can take a look into this problem? Check with any local repair guy.